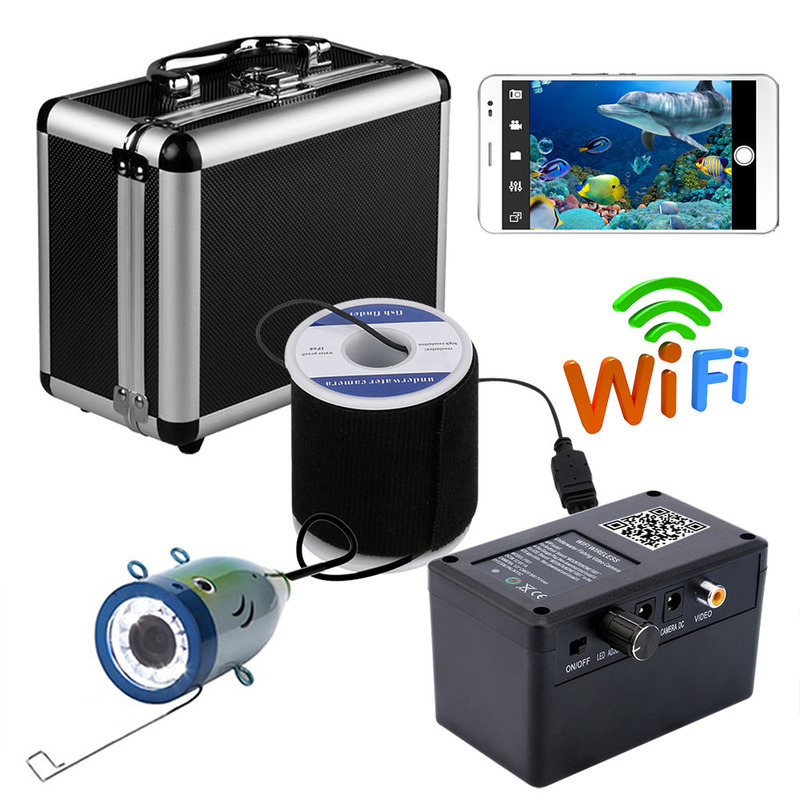 Successfully Added Wireless WIFI visible fishing device 30 meters mobile phone to watch 1000lines of high definition underwater fishing detector to your Shopping Cart. Thanks to this fishing camera, you will not drop the bait anymore. The long waiting period is no longer a thing of the past. This completely waterproof camera will scan your fishing spots, fish and all cameras, and then connect to your cell phone through wireless connection. Because of the 12 bright LED of the camera, even the dark area will be clearly visible on the screen. Enter the age of high tech fishing! Reaching a depth of 30 meters, thanks to the long camera cable, explores the depth of lakes, rivers and even the sea. In fact, this camera is also very suitable for ships who want to check their boats, environmental activists, students, ice fishermen and any ship owners who like to explore the underwater world. The whole suit is equipped with a 30 meter cable and a portable battery case. 3：Night vision LED can be adjusted,can turn off according to the external environment. 6：Support max to 3 mobile device APP simultaneous viewing, simple operation. 7：Water pressure measured 100 meters, waterproof Level IP68.